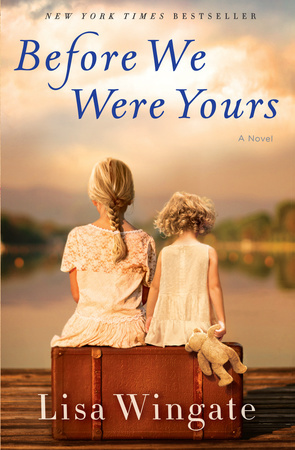 Find out what Before We Were Yours author Lisa Wingate’s earliest library memory is and more this National Library Week! What was the first book you can remember checking out of the library? We Help Mommy. I do not know if my mother engineered this choice or not (she may well have, as it was about angelic children who enjoy assisting Mom with the housekeeping) but she did end up having to purchase a copy of this Little Golden Book for me after we returned the library edition, as it had become a daily favorite. It did not, however, grow me into an avid house cleaner, so in retrospect I guess the thrill eventually wore off. What do you think the most important service of a library is? I think the most important service of a library changes as its surroundings change. Quality libraries are living, evolving entities that adjust to meet the needs of their patrons. 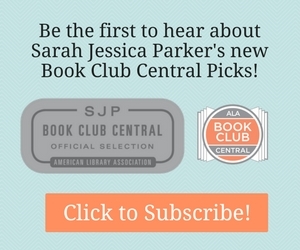 A century ago, people probably would have said the most important service of most libraries was to put books into the hands of people, to increase literacy in a time when many people couldn’t read, or couldn’t read well, or simply couldn’t sustain the price of personally owning a vast collection of books. Twenty years ago, we might have agreed that the most important service of a library was to provide access to technology in an era when many people didn’t have internet service or couldn’t afford home computers. Today, we live in an era fraught with technology and offering seemingly-endless reading and research material at the touch of a button, often free or at low cost. Given the rapid changes in society, are libraries still significant, relevant, and important? Yes. More than ever. In an age when technology has taken the place of face-to-face communication, when life is fraught with over-scheduling, multi-tasking, and social divisions sometimes based on stark ideologies, libraries are one of the few places we still come together. When we read, when we share stories, when we gather to talk about them at library events and in book clubs, we plug into the human community around us. We share bits of our own experience. We look at life through others’ eyes. We step into others’ shoes and come away understanding one another a bit better. That’s why libraries still matter. In a disconnected age, they connect us. If you could describe the library in 2 words, what would they be? What is your fondest library memory? Living far out in the wilds on a ranch when my children were young and discovering that the area still had a version of the bookmobile. Tracking down the route and then being able to share that experience with two summer-sweaty little boys of my own was the sort of sweet parenthood moment never to be forgotten. Click to Read an Excerpt of Before We Were Yours.